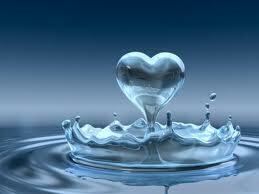 Hands down, water wins as the most vital component of our body. Did you know that adult bodies are 50-60% water, our brain is 85% water, muscles are 75% water, our blood is 82% water, our lungs are 90% water, and even our bones are 25% water. Research has shown that for some people, drinking water when we are dehydrated can relieve body aches and pains, including headaches, it can elevate mood and energy, and even lessen symptoms related to allergies and asthma. It’s important to drink water to keep your body hydrated to function properly. Another benefit of drinking water is appetite control. By drinking a glass of water before each meal you will feel less hungry and as a result eat fewer calories. Water, the zero calorie beverage, can not be substituted by drinking other liquid beverages that contain caffeine, sugar, sugar substitutes and other chemicals, like coffee, tea, soda, sports drinks and juices. The amount of water a person needs varies depending on his or her weight, activity level, and climate. For variety, flavor your water with a wedge or squeeze of lemon, lime, orange, strawberry, apple, peach, nectarine, pineapple, mango, or a mint leaf.